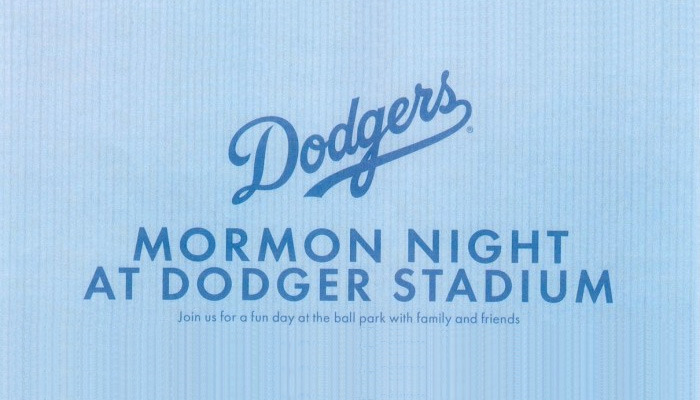 For over 25 years, Dodger Stadium has hosted a “Mormon Night” for members and friends of The Church of Jesus Christ of Latter-day Saints and has become an annual tradition for many families. At tonight’s event, Elder David A. Bednar of the Quorum of the Twelve Apostles will throw out the ceremonial first pitch, the ‘Veteran of the Game’ will be U.S. Air Force Tech. Sgt. Angel Peraza of Palmdale, CA, and Kirby Heyborne will sing the National Anthem. This will be Elder Bednar’s first honorary pitch. He joins President Uchtdorf, Elder Holland, Perry, and other apostles who have also thrown the first pitch. As the youngest apostle we hope to be able to add him to the list of grandpas who pitch better than 50 Cent.